Manuel Seabra Pereira, Professor for Mechanical Engineering at the Instituto Superior Técnico Lisboa and EURNEX founding member, has died on Monday 25th July, having suffered from a longer illness. The scientific community of rail research is expressing its deepest sadness of losing an expert scientist, who was filling gaps with innovative ideas, as well as an integrator, realizing the European perspective to overcome the fragmented Rail Research landscape. As a long term Council chair and member of the EURNEX Standing Committee, Manuel was representing the academic community acting as a Vice Chair for ERRAC improving the competitiveness of the Railway sector and industry. It was also his modest, diplomatic but steady effort to foster rail orientation towards a strategic research agenda. As a leader of EURNEX’s Pole of Excellence “Education & Training”, Manuel did support industry to attract next generation human capital and foster gender equality, finally founding the Virtual European University of Railway on October 20th, 2011. It is his personality as an inspiring colleague and his convincing arguments in a multi-modal transport world we will miss to successfully continue and top Manuel’s “Mission Achieved”. Thirty years of experience in Structural Analysis and Machine Design. Was involved in complex design projects in railway vehicle technology. Was actively cooperating with leading European railway operators and train manufacturing industries in accident statistics, railway dynamics, comfort studies and train crashworthiness, passive safety, pantograph/catenary dynamics, wagon technology. 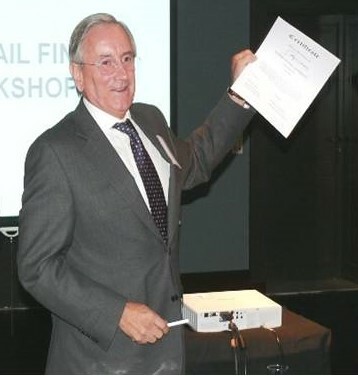 Chairman of the Council of EURNEX – The European Rail Research Network of Excellence from 2007-2012.